The holiday season really snuck up on us this year, so we rounded up a handful of last minute DIY gift ideas for all of you in case you're in need of some inspiration! We also love an opportunity to feature a few of our favorite blogger babes, and spread the holiday cheer. Check out our favorite holiday DIY gift ideas. This recipe from Boxwood Avenue is the perfect handmade gift to give this holiday season. There is nothing quite like the smell of home at the holidays- and this homemade potpourri can make any house feel like home. The best part is that the recipe comes with a free printable tag to make it look just as gorgeous as when Chloe made it herself! Click here for the full recipe. You can really never go wrong with an edible gift in our opinion, and these cookies from Caligirl Cooking are to die for! With all the classic holiday cheer of walnuts, cranberries, and chocolate, these biscotti make the perfect gift. These sweet treats pair perfectly with a morning cup of coffee or hot toddy by the fire in the evening. Click here for the full recipe! Want to bedazzle your bff's holiday season? Well look no further. This DIY from Oh Joy is full of glam and glitz. Pick the coziest sweater you can find and cover it in pearls! 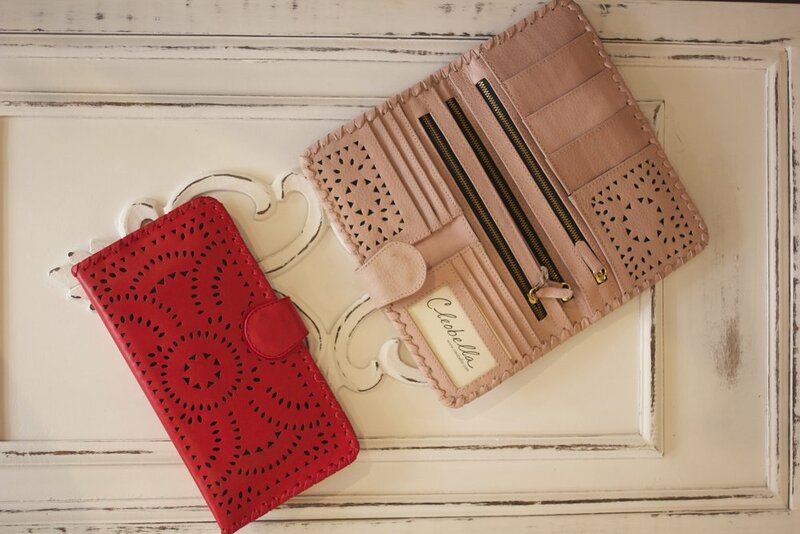 It makes a great gift for any gal on your list from your Grandmother to your niece to your best friend. Check out the full tutorial here. Technically this DIY requires another gift (tickets or a gift certificate of some kind) but this presentation is so adorable that we couldn't resist! Sugar and Charm is a great resource for all things DIY but this gifting idea takes the cake. We love a good gift experience as much as the gift itself and this one is about as festive as they come! Check out the full details here. We hope we've inspired you procrastinators (ourselves included) to do some DIY'ing this holiday season! The best source of inspiration is our peers, so thank you ladies for keeping us on our creative toes. Cheers! We have already told you about the importance of shopping locally this holiday season, so without further ado... Here is our 2017 Local Holiday Gifting Guide! Over the last 12 days we have hilighted 12 local businesses on our 12 Days of Gifting, and here you can see other items and a few of our favorite picks for the holidays this year! We have definitely told you many times about Crisp Bakery, and that is because it is a personal favorite of ours! Their chocolate chunk sea salt cookies are to die for, and the best news is that they will ship them upon request. Pick up a box of pastries for your office holiday party, or send a dozen chocolate chunks to your long distance best friend. You can also place special orders for cupcakes, cookies, and cakes through the bakery! Just call or stop in to order. G's General Store is a hidden gem on the Sonoma Plaza. Full of unique items from across Sweden and Denmark, G's is the perfect place to shop for your jet-setting friend that loves a gift to remind them of their travels. Bonus- they will ship items to your out of town friends! Either call or pop into the store to order. It was hard for us to pick just one item to highlight so we went with a few (sorry, not sorry). G's carries a line of beautiful cashmere scarves and shawls that are so cozy and stylish. Our second pick (that might pair nicely with the La Chertosa Wine later on this list) is the Eva Solo decanter. This beautiful glass decanter is the perfect gift for any wine lover! We also love G's custom artisan candles that come in a variety of scents. Last but certainly not least we are obsessed with these adorably bright walking shoes! They are made by a designer from Denmark, Isle Jacobsen, and are the perfect lightweight pair to take traveling with you. Wildeflower is one of the newest additions to the Sonoma plaza, and is the perfect slice of bohemian heaven to pick up gifts this holiday season. This store has the greatest stocking stuffers and small gifts- from jewelry to candles to perfume, they have something for everyone. One of our personal favorites- a gold "California" necklace. There is no better time to show your California pride and support a local Sonoma business! La Chertosa Old World Wines are made by 3rd generation Sonoma wine maker, Sam Sebastiani. If you want the full scoop on these wines head to our full piece, but here's the just of it: you don't want to miss them! Made in limited production, each of their four varietals are perfect for bringing as a hostess gift to your holiday dinners, or for setting your own table with if you are hosting. Made in the traditional old world Italian style, these wine are sure to delight your loved ones and compliment any meal. They can ship their wines anywhere in Texas, Colorado, Nebraska, and California! Beauty Counter is changing the cosmetics game one product at a time! Every single one of their cosmetics is free of 1,500 potentially harmful and harsh chemicals that the beauty industry does not regulate. These clean cosmetics don't sacrifice quality or performance either and look beautiful for photo shoots, a night out on the town, or just your every day routine. We love Beauty Counter products as a gift for all the women and girls in your life. Self care is such an important part of their routine, and Beauty Counter products are safe and clean. Beauty Counter also recent released a line of products geared toward the men in your life so you can include them as well! They have a multitude of holiday packaged products that are beautiful and a great value. Click this link to shop with our favorite local stylist, Jenna Maze. She is knowledgeable and always happy to help you find the perfect product! The Hare & Hatter Sausage Emporium is our new go-to happy hour spot! The sausage platter, pictured below, is the perfect plate to share for two. Check out our full piece for all the juicy details. Consider getting a gift card for a friend to enjoy, or drop your husband off here for lunch while you finish your Christmas shopping ;) Either way, it is a great place to grab a quick and delicious lunch and escape the hustle and bustle of the main Sonoma Plaza. Love Sonoma is a store full of eclectic treasures. Just off the main Plaza, it is full of candles, crystals, handmade jewelry and more! Our favorite picks? These statement necklaces come in an array of colors and are a great gift for your fashionista friend. The Love Sonoma candle is a great way to show your love and support for our little valley! AB Creations are a husband and wife duo that do energetic healing work! If you have a long standing pattern in your life that you would like to break, or an emotional wound that needs healing, they have the tools to help! Heading into the new year it is a great thing to gift to those people you love the most. In conjunction with their own techniques, AB Creations offers a line of energetic jewelry by designer Kate King. 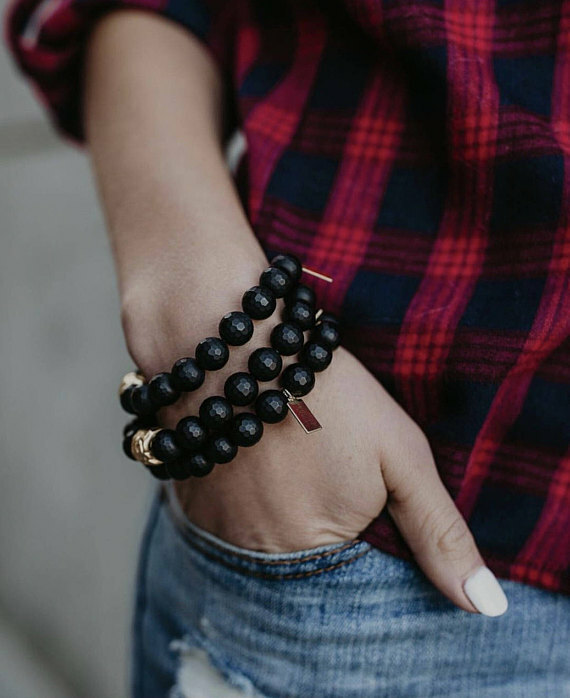 Each piece has a specific energetic vibration that can help you feel more balanced, centered, and connected. They are able to do sessions remotely, but we highly recommend making an in person appointment if you are in the area! Contact Amelia (the A in AB) at barakamelia@yahoo.com to schedule your free jewelry consultation. Cafe Scooteria is a staff favorite here at A Savvy Lifestyle and A Savvy Event. They have chai lattes in every flavor you could ever imagine, and sell local pastries and breakfast burritos. Either stop in for a coffee in their half bike shop half coffee shop, or drive through- perfect for those frigid mornings that you don't want to get out of their car! Locally owned and operated, Cafe Scooteria is a staple in the community. Their baristas will likely remember your name, and coffee preference after just one or two visits. Pro tip: ask for a whip shortie- it will be the best cappuchino you've ever had. Their gift cards make for great gifts this holiday season! Chateau Sonoma is full of holiday cheer right now, and you don't want to miss it! 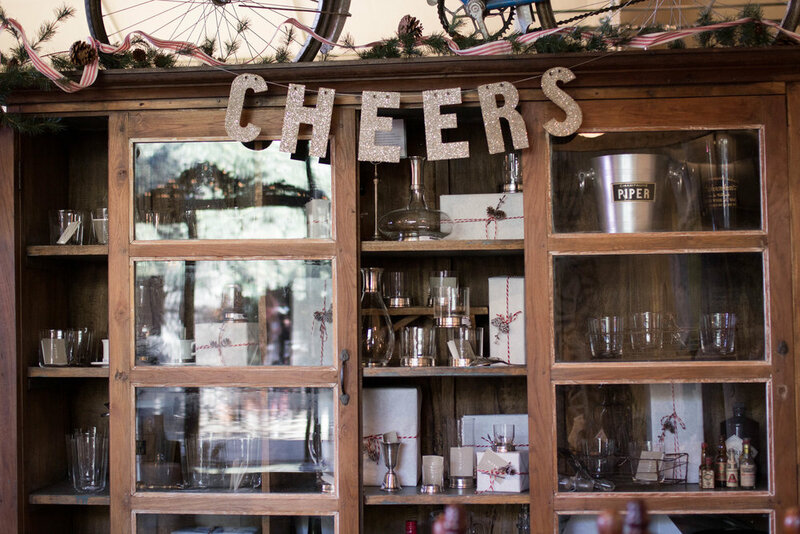 This store is full of French Antique goodness year round, but we especially love it during the holidays. Stop by for any housewares or hosting needs- they've got it all. Our personal favorite is their signature Chateau Sonoma candles- they make a great hostess gift and will keep your home smelling cozy and clean during the busy holiday season. They've also got handmade ornaments, genuine vintage silverware, and handcrafted ceramics. Shop online or in store! Meghan Bo Designs makes chic bohemian jewelry for everyday wear. This local Sonoma designer can be found on Etsy, as well as bay area boutique Vici Collection. Her jewelry is unique and will make a statement with any outfit. From simple gold hoops to gorgeous stone necklaces, she's got stylish jewelry that costs less than the designer pieces you see in the big department stores. Check her out and make someone's holiday a little more sparkly! That's all for our 2017 Local Holiday Gifting Guide! We hope you have enjoyed. Let us know where you end up shopping this year! For even more Savvy subscribe to our newsletter! A 4th of July inspired gift basket from Favor Custom Gifts.